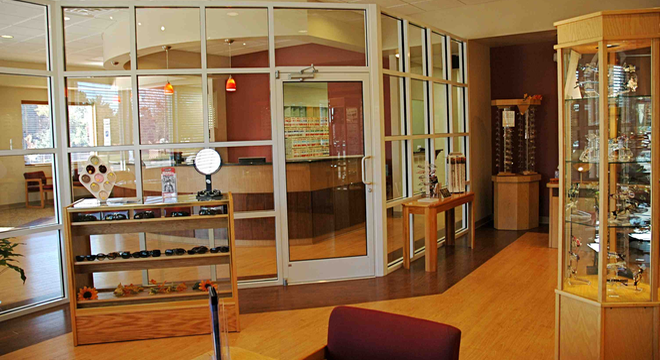 Welcome to our Fayetteville Optometry office. 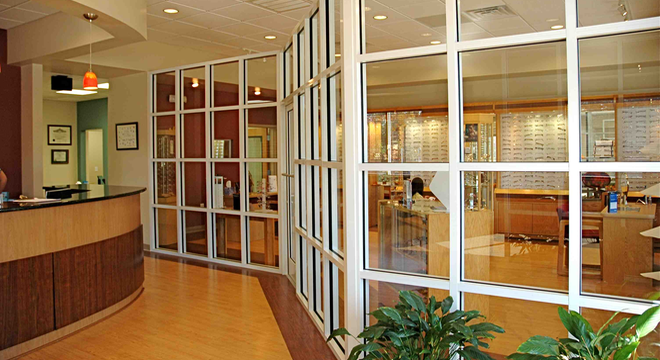 We have combined our Tallywood Optometric location with our office on Village Drive. We invite patients from Ft. Bragg and the surrounding area. With the latest technology in eye care, our medical eye exams can detect the earliest signs of ocular disease, accurate diagnosis behind various cases of dry eye disease, and ensure you receive the most from your annual eye exams. Plus, along with our designer eyewear, our caring staff will address to your visual needs with warmth and personal attention. Village Eye Care is conveniently located on Village Drive two blocks from the Cape Fear Hospital. We are at 3526 Village Drive, which is between the hospital and the Bordeaux Library. Our Fayetteville office is located next door to Passport To Health. Come meet with one of our wonderful eye doctors to discuss your eyecare needs, whether it's eyeglasses, contact lenses or specialty lenses. Or just drop in anytime to browse through our huge selection of designer eyeglass frames or sunglasses. Our optometrists, Dr. Laurie Arcolano and Dr. William Vaughan, have been serving the Fayetteville and Ft. Bragg communities for over 20 years.